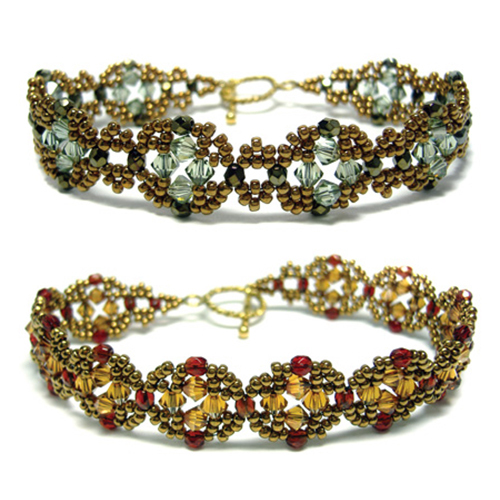 This pattern is fully illustrated with detailed step-by-step instructions for two crystal bands. It matches the Venetian Necklace and the Venetian Earrings. A little over a half-inch wide to desired length.